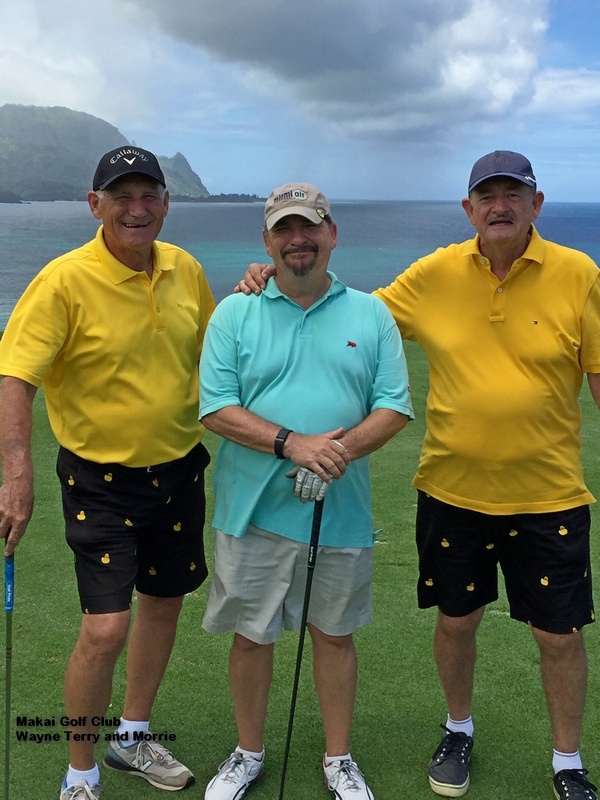 On June 12th 2017 “Team Rubber Ducky” (Morrie and I) took on the awesome Makai Golf Club at Princeville on Kauai. Terry rounded up Charlie to form “The Boys in Blue” as competition. Oh yeah, the stage was set for a good time! We got the scorecard completion out of the way early. 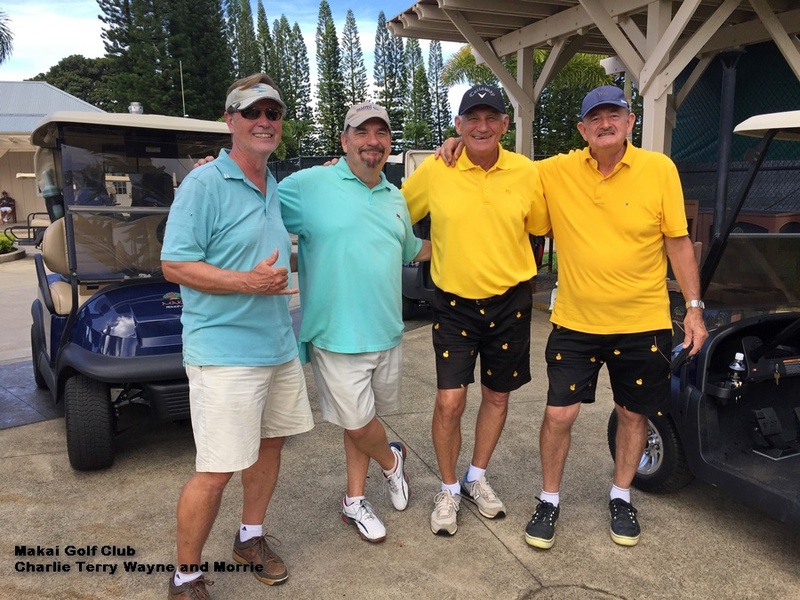 On the third hole The Boys in Blue pulled ahead … the ducks worried them but they stayed ahead. 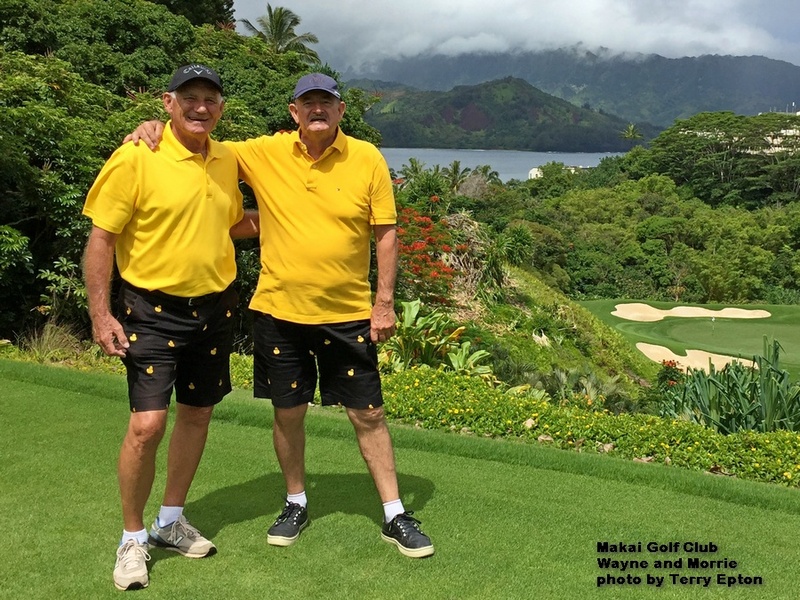 The 3rd hole – both ducks were long – and Terry stuck his tee shot near the pin for a birdie. But Team Rubber Ducky was not going to let a little thing like the score get in the way of FUN. 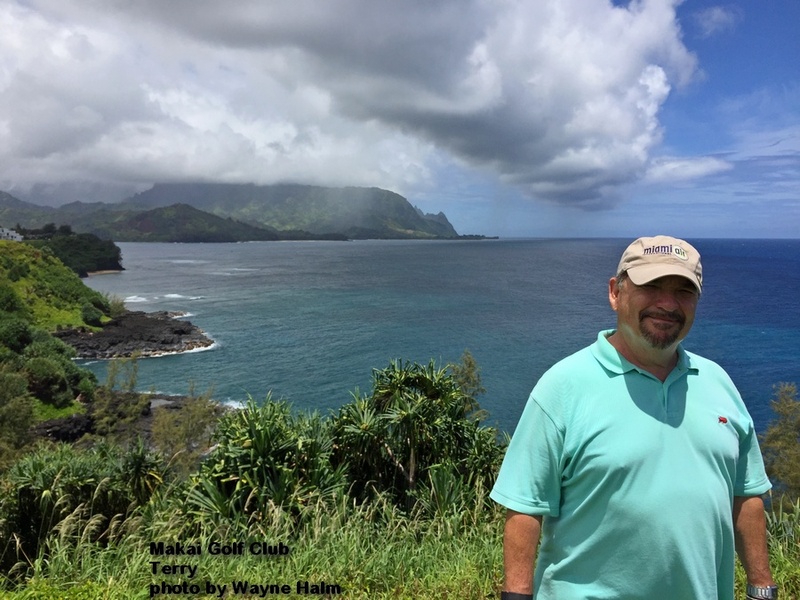 We were playing golf amongst the most spectacular scenery on the planet … and we were enjoying it. Wayne and Morrie worrying Terry about his lead. There is an opportunity here … Team Rubber Ducky is accepting new members. All it takes is a yellow shirt and the ducky shorts. Some golfing ability might be nice, but it is not essential … we are going to have fun anyway. Love to have you on the Team big guy. 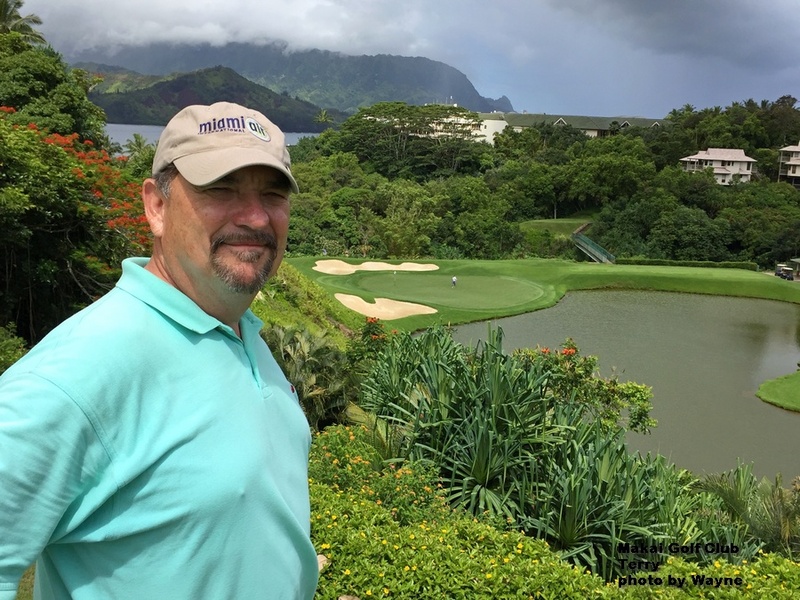 Morrie and I do mix a lot of fun into our golf … but we like it that way. WOW! Double duckie shorts! I couldn’t believe my eyes at first. Love it. 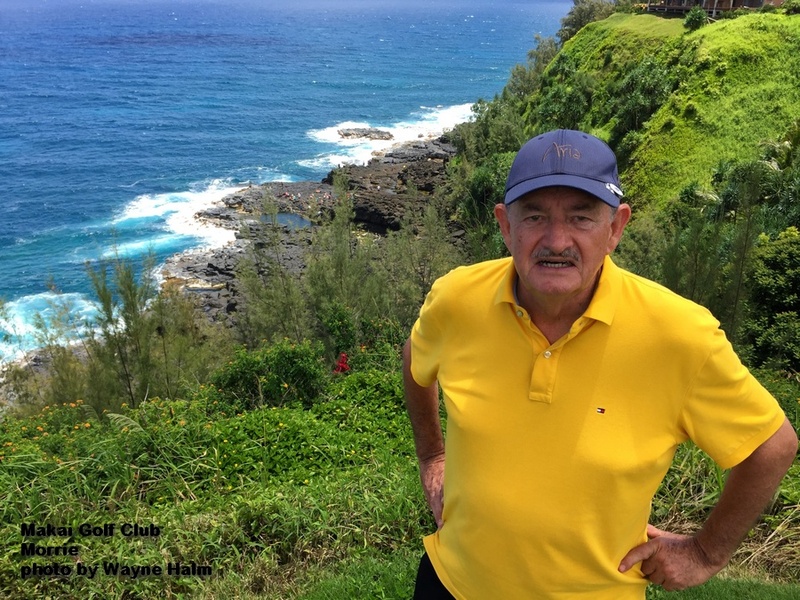 Looks like the scenery in Kauai hasn’t gone anywhere, and neither has your style. Hope all is well buddy. Oh yeah buddy, Morrie and I do sometimes like to strut. All is well here … busy but well. Hello Wayne – looking forward to being back in November. I’m looking for a couple of rounds, and to try the best Loco Moco on the island. Oh yeah buddy. I’m looking forward to ti.